Bondi Blue Water Challenge 2017 | JustRunLah! 07:000am – Pre-race registration and late entries open for all swims and beach run. POST CELEBRATIONS with winners presentations, lucky door prizes, live music in the new look Bondi Surf Club. NEW EVENT! 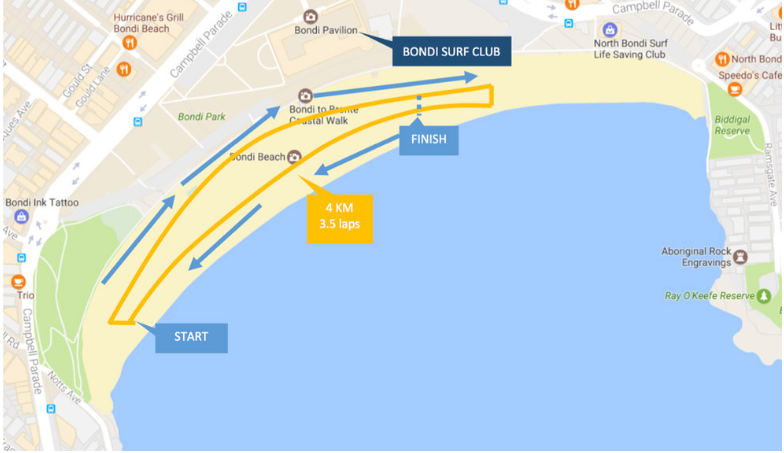 Take on the new 4km Beach Fun Run on the iconic Bondi Beach. Get your running group together and take on a new challenge in 2017. Open to all ages 10 years old plus!The 4km beach run course will be run on the soft sand, starting at South Bondi at 8am. (Icebergs end of the beach). There will be 3.5 laps of the beach, going from the south to north and then looping back. 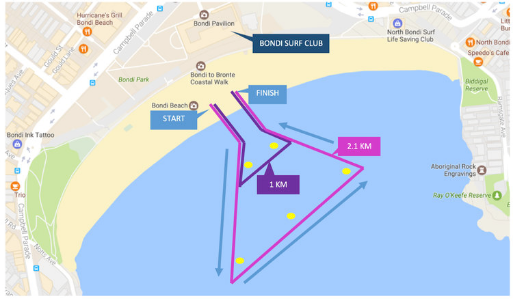 The race will finish in front of Bondi Surf Club.